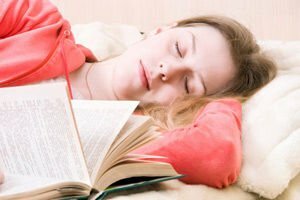 Why do mankind "lose" 1 / 3 of their life sleeping? And why did people dream? At this point science has long sought an explanation, there was (and today there are) different assumptions, and opinions within the scientific community that continue to disagree. In the past people were convinced that the night divides the soul with the body, achieved temporary freedom and made trips. Where is in a carefree childhood, worrying about yesterday's cloudless day or the future, it will be necessarily for these emotions to communicate through dreams. Scientists have long thought that in the day people accumulate specific substances (conventionally called "sleep factors") that cause brain fatigue. 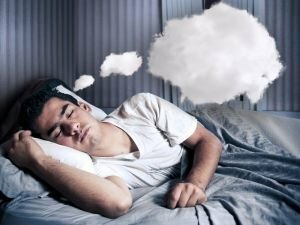 According to this view during the dreams these factors are destroyed, allowing the brain to recharge enabling one to lead an active lifestyle. Apart from horror movies during sleep a person can also fall into melodrama or fantasy world. A Subordinated kiss to suddenly running with weapons in hand after your boss or, a nameless secretary boggles you with all the mastery of five foreign languages. In dreams we often realize our own dreams are to remind us of something or are to enable us to protect someone. Mankind think this can actually work. Genius ideas are shown to some during their dreams. These dreams are not rare, the periodic table, the formula of petrol, the best of the Tartini sonata, detective novels of Edgar Allan Poe and Mary Shelley and the novels of Kafka and Stevenson. Some of them have been created on the grounds of nocturnal dreams and melodrama nightmares. Freud did not doubt that all creative dreams are inherently unrealized desires, which arise because of repressed childhood traumas and fears. His student Jung added to this theory, the idea that dreams are "the little door to the innermost depths of the soul." Recently, scientists from the University of Harvard, with magnetic resonance image scanning followed up how the center of the brain works during sleep. It turns out that people strengthen their motor skills whilst sleeping. Some scientists believe that babies are dreaming while still in the womb from the 25th - 30th weeks of pregnancy. But what they dream no one knows. There are two assumptions. The first are the remnants of the memory gene, which forms the feelings and thinking of the unborn child. The second kind of reaction is the fruit of all that is happening in the outside world. In 14 years Freud was writing his diary in which hold all records that he has remembered of dreams. In volume 48 notebooks were recorded of vivid dreams that later the scholar has published and analyzed. As a result of this and today he is considered one of the most famous interpreters of dreams, but at the same time, of course, the creator of the theory of psychoanalysis.